Former U.S. Attorney General Eric Holder announced late Tuesday that he'll decide on a 2020 presidential run in about three weeks.He made the remarks to reporters outside the Harkin Institute for Public Policy and Citizen Engagement at Iowa's Drake University, where he had just engaged in a 90-minute discussion on redistricting and voter rights with Marsha Ternus, former chief justice of the Iowa Supreme Court. 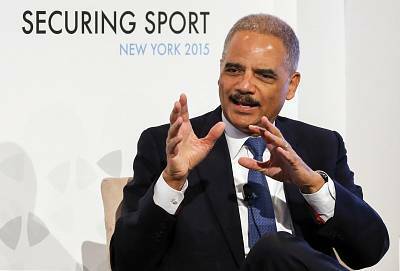 "I'm going to decide if I'm going to try to find that space within the next month or so," he said.The key questions, Holder said, are "whether you have the vision, the experience, the ability to inspire others to deal with the issues of the day. So I'm going to sit down you know with my family, you know, very soon." 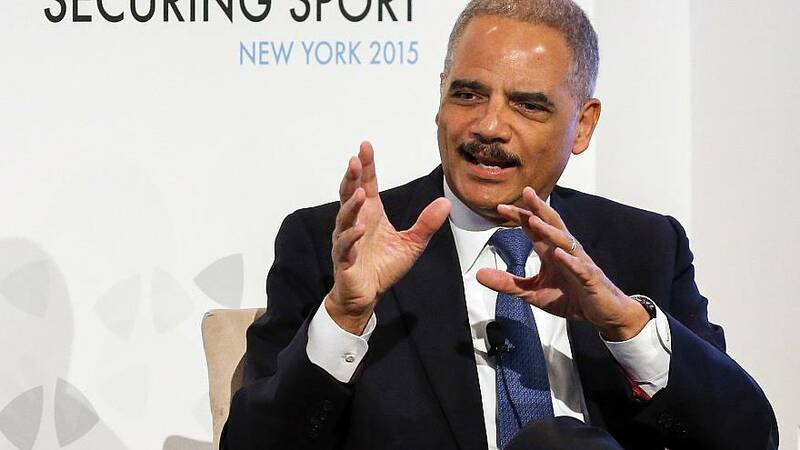 NPR reported earlier Tuesday that Holder would decide whether or not to join the already crowded Democratic Party field for president in about two week's time. Pressed for a time frame Tuesday night, Holder said that it would be "closer to three than four" weeks.He said he was not in Iowa — its influential Democratic Party caucus was scheduled for Feb. 3 — to measure support among party influencers. In fact, he said, the Harkin Institute discussion had been scheduled for fall but was postponed. "I met with some party leaders but not to discuss that, no," he said. "This is really just kind of a Drake University visit. "Holder said he has spoken to President Obama about the decision he faces in March, but he wouldn't reveal the former president's advice.Asked if he has urged former Vice President Joe Biden to run, Holder said, "I think Joe Biden was a great senator, a great vice president. ""I worked with him on important domestic issues," he said. "I sat with him in the situation room. You know, I think that his would be a good voice to have as part of this primary process. But you know, I would totally respect his decision if he decides not to become involved, but I would hope that he would."